Who Are You and Why Should Anyone Care about Brand Value Niche? Your Brand Value Niche (BVN) involves knowing who you are and just as important why you exist. Once you know this and understand the who and why then and only then can you identify who your ideal client is. Your ideal client is not everyone—it cannot be everyone, let me restate—it cannot be everyone. You must make a choice and develop a clear vision of who you are and who your services and/or products are best suited for. Without this focus, your potential customers will not even notice that your company exists. Yes, you must know yourself first, for anyone else to come to know you. It is far better to be a big fish in a small pond of your ideal clients than a fish in a big sea of everyone. My advice to clients is the same no matter what their size, service or product. You need to step back and take a sharp look at everything that you are doing. Ask yourself what am I doing well? What am I not doing well? What is it that excites me both in my personal life as well as my professional life? What do I think I could do better than anyone else in my field? Am I going to continue to do a little of this and a little of that and in the meantime just be ho-hum (yawn!) in a lot of things? Am I going to take the time to find my passion, let go of everything else and pursue it with everything I have? In the end, it’s about focusing less on what other people think and more on what you were created to accomplish. What are you going to do? What’s A Brand All About? Can you recall when you had to decide between two individuals during a job interview? One was well-groomed, nicely dressed and looked sharp. The other, well, the other simply put wasn’t. Both individuals, like it or not, were sharing their “brand” by consciously or unconsciously displaying who they were. This is exactly what every business must consciously do in order to have a chance at succeeding in today’s overcrowded marketplace. Simply put, the art and science of defining your brand needs to clearly identify who you are and what is your unique selling position. How do you solve your ideal client’s problems and what makes your solution better and different than all the other options your ideal client has available? Your brand must stand out and it must be consistent with every message that you put forth. According to Steve Jobs, your brand’s message needs to be able to define its place in the Universe from the viewpoint of your ideal prospect even if they lack understanding in exactly what they need or want. Apple has delivered on this promise repeatedly by giving customers products and services that meet both their articulated and unarticulated needs, wants and desires. Your core values—what they are, as well as, what they are not. Your irresistible offer—why should anyone care about doing business with you? Your ideal customer—their frustrations, age, gender, economic position, behaviors, motivations, desires, and location. HOT TIP: The time you dedicate to clearly defining your brand’s value, offering, and audience will come back to you twenty-fold. If you do not give proper attention to this phase it can result in your company completely missing the target with your ideal client, create a lack of direction as to exactly where you fit in and not help you connect the right features and benefits with your most appropriate prospects. Most business owners I talk to are fearful of narrowing the focus of what they offer. They believe that they will lose business unless they use the “everyone can use my services”, mentality. Initially, you may find yourself missing some “opportunities,” but the truth is that when you narrow your focus your brand becomes stronger. Your goal should be to dig down deep before you go wide. Let me tell you a little story… I owned a publishing company that was started with a sharp focus on dual language products (English/Spanish). One of the reasons we started this company was that we lived in a dual-language household and it was hard to find quality products in Spanish, much less in both English and Spanish. So, we thought that these types of books just did not exist. It would have to be a very sharp focus and most publishers we talked to did not think the market was big enough to produce the revenues desired. That’s why our publishing company was born. We got a booth at BookExpo, the largest trade show for trade publishers, and we were the only ones out of 3000 exhibitors who had a dual-language (English/Spanish) product. It was an exciting time and full realization for us. To make a long story short, by the end of the tradeshow we had negotiated orders with Target, Barnes and Noble, and Borders and by the end of our first year, we were in almost every major retail outlet imaginable. Then we went to a tradeshow that was put on by the National Association of Bilingual Educators. While at the show, we saw rows and rows of the products we had been looking for but could not find before we decided to publish our own books. Why did the retail buyers miss these products? Why did our books stand out to them? We were passionate about what we were doing. We took a risk by narrowing our focus. We only had books that focused on parents who had children under the age of 6 and that wanted their children to learn two languages (English/Spanish). Everything we did connected to our focus. Our brand was consistent, our customers knew us for one thing, preschool dual-language (English/Spanish) products. We understood our ideal clients. We made it easy for them to find us and we communicated to them in their language. We created systems and processes that fit what they were used to. We entered into our ideal client’s world and understood their frustrations. Now that you have defined your niche, identified your ideal client, and created your associated brand image. You are farther ahead of the game than most of your competitors. However, there is one more piece of the puzzle to put in place. That piece is your value proposition. You need to have a laser focus on what the value is that you offer. If your potential customers do not clearly see what the value is and how your company can help solve their issues or problems, they will do business elsewhere. You can’t be everything to everybody. Avoid the urge to be everything to everybody–focus, focus, and focus! Having a unique selling point (USP) isn’t enough. A customer needs to see the value of your service or product as it relates to their life—not just that it’s unique or different. Be disciplined and consistent in your messaging. You only have a few moments to capture their attention and generate enough interest for them to want to learn more. Your internal culture reflects your external image. Make sure that everyone on the team is working with the same clear goal and vision. Don’t let conventional wisdom determine your customer value proposition. While conventional wisdom may serve as a guidepost, don’t get trapped by its limitations. Just because it works for someone else does not mean that it will work for your business. Done correctly, you can tilt the odds of your success in your favor—finding an audience of raving fans ready to buy, use and promote your products and/or services. So, take your time and move forward into the success you and your business deserve and desire. Mark Wesley owns metamorphicx and me+mi publishing. He has spent the last 25 years developing products and providing services for businesses across the United States. 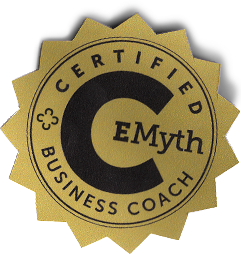 As an EMyth-certified business coach and Duct Tape marketing consultant, Wesley helps clients improve their leadership, branding, finance, management, marketing, sales, and customer engagement skills. He is a current member of the IBPA board of directors. Getting to the Root of your Success! 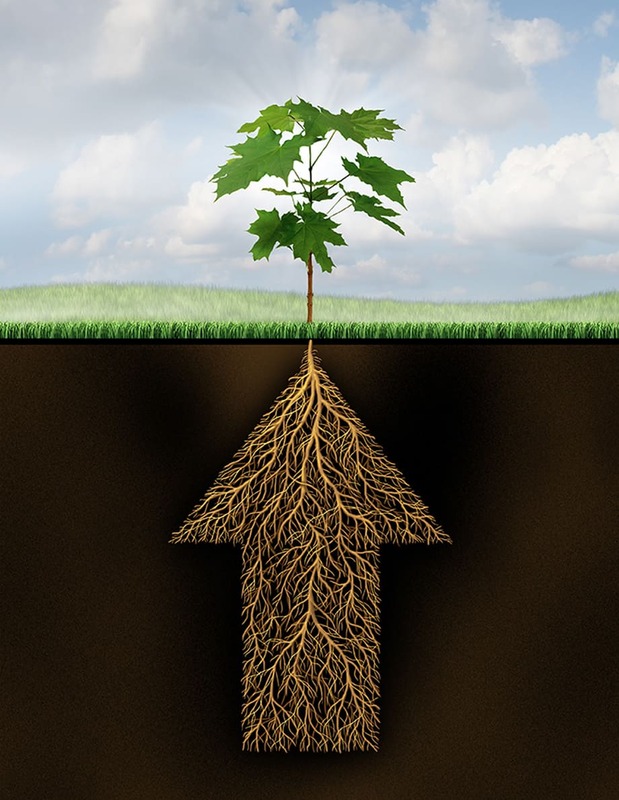 We are a business development firm that focuses on helping you plant the right seed in to the right solid so that you can build strong roots in your business so that you can be set free. Build your tree from the ground up.